The week’s theme at the Trendy Treehouse is “father’s love.” I haven’t taken any recent shots of my father (or even my Father-in-Law, Brother-in-Law, etc), so I decided to dive into my archives. 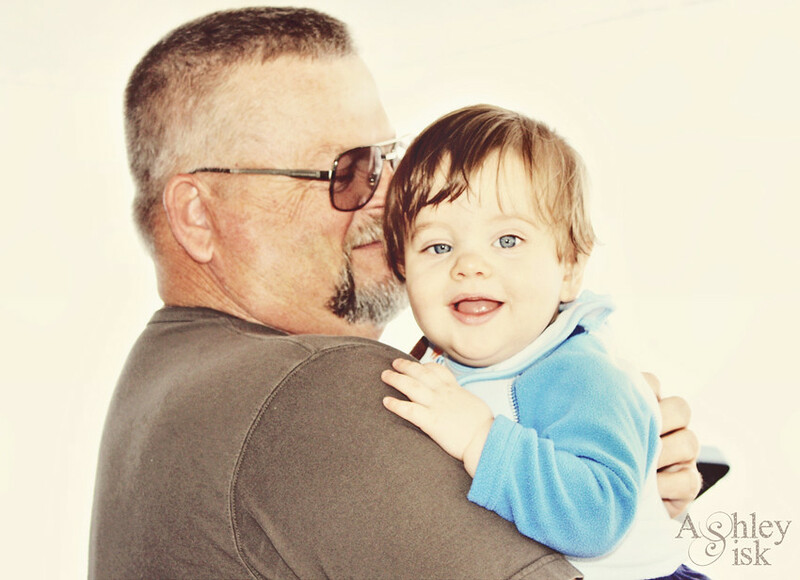 This is my Father-in-Law with his grandson (my nephew), during Christmas. At the time, Carter was just eight months old and happy with life as he knew it. If only I could be a child again. I’d just gotten my DSLR the month prior, so this shot was likely captured in AUTO. Furthermore, now that I know better, the pin lights are kinda disturbing. Nonetheless, I love this sweet moment, backlighting and all. You can tell how much my Father-in-Law loves this child.